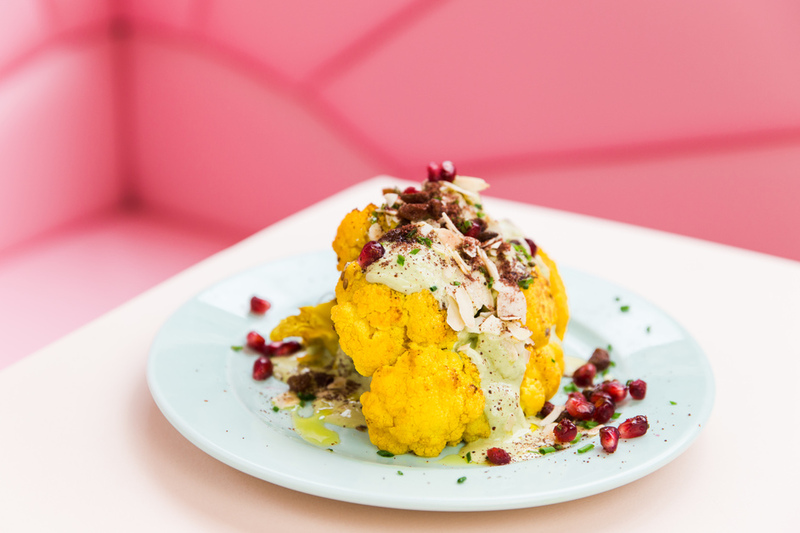 Adding to the vegan options sprouting up across London, Genesis brings organic, GMO-free vegan food to Shoreditch. Opened by the Santoro brothers, Alex and Oliver, the duo behind vegan food company Raw Imagination, the restaurant aims to appeal to vegans and meat-eaters alike while also supporting organic farming practices in order to have a positive impact on diners' health and the planet's ecosystems. The menu is made up of a selection of sharing plates, salads, soups, tacos, burgers and hot dogs, all created using organic fruits, vegetables, grains, nuts and seeds. Inspired by dishes found across the world, dishes include Indian street food snack of Aloo Tikki Chaat; Tel Aviv Cauliflower with tahini, almonds and cranberries; Shawarma with Israeli salad, chilli, pickles, garlic sauce, tahini dressing and sumac; and Char Kway Teow, a popular Malaysian dish of brown rice noodles, stir-fried vegetables and black bean sauce. The American Woman burger is another signature dish along with the Bánh Mì Dog Bombay Dog and New York Dog. Genesis gyms, sporting activities, health & beauty and fitness. The best pubs near London Genesis. Genesis clubs, bars, cabaret nights, casinos and interesting nightlife. Where to have your meeting, conference, exhibition, private dining or training course near Genesis. From cheap budget hotels to luxury 5 star hotels see our discounts for Genesis hotels, including 196 Bishopsgate Serviced Apartments from 85% off.